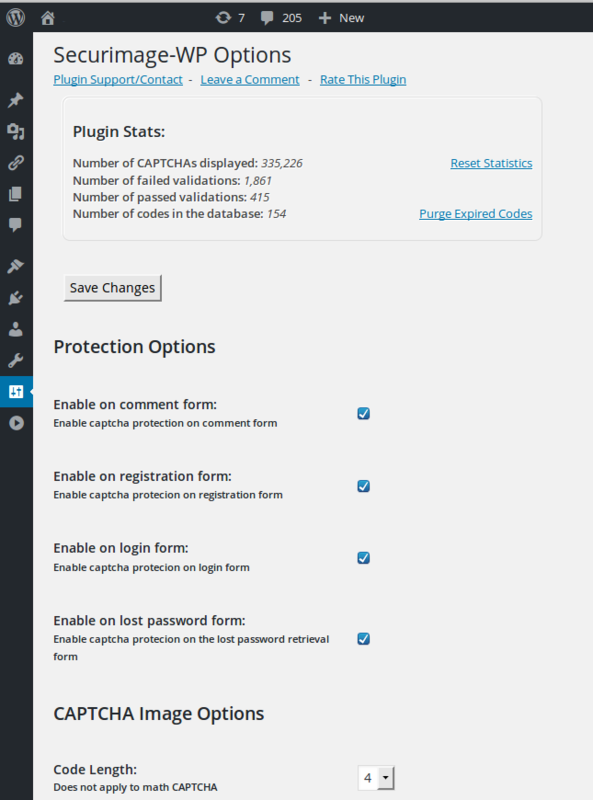 The Securimage-WP plugin for WordPress adds Securimage CAPTCHA protection to the registration and comment forms on your WordPress blog or website. 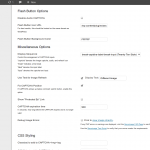 From your WordPress Settings menu, you can easily customize all aspects of the CAPTCHA image to match your site’s look, as well as customize the security features of the CAPTCHA. 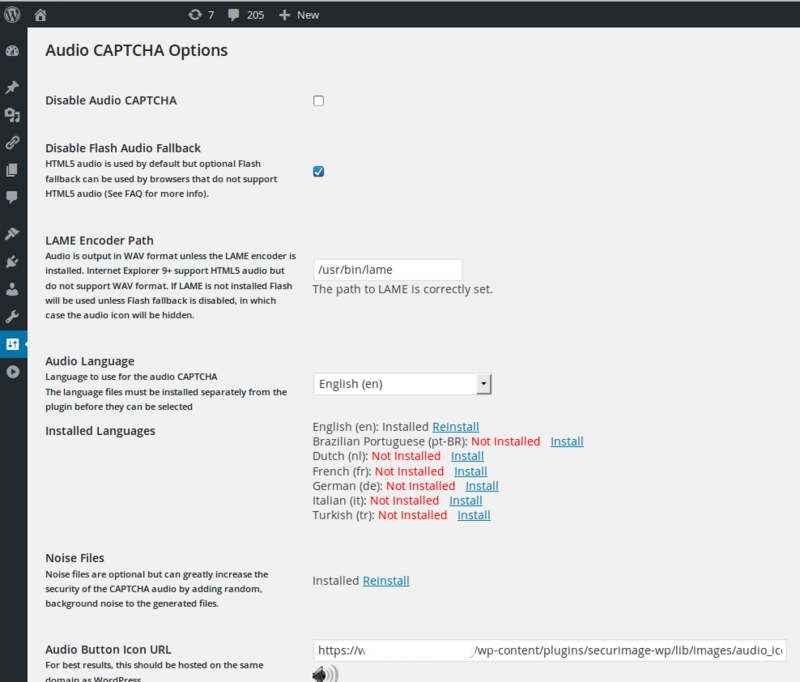 Securimage-WP also has the ability to stream secure, high-quality, dynamic audio CAPTCHAs to browsers or mobile devices using HTML5. 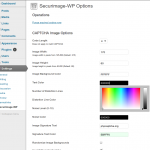 You can install Securimage-WP from within your WordPress admin panel. Click Plugins » Add New and search for Securimage-WP. Click Install Plugin and then activate! Plugin can now be administered from the Settings menu. Alternatively, download the zip file from the WordPress Plugin Directory. Extract the contents and upload the files to the securimage-wp folder in your wp-content/plugins directory and then activate in WordPress from the Plugins menu. 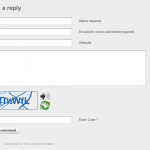 Can I use the shortcode [siwp_show_captcha] in a custom php form? 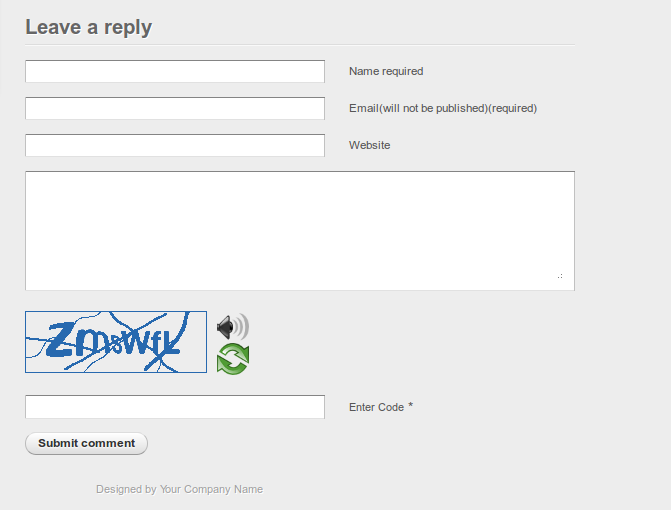 Is there a way to use the wordpress plugin and use the captcha on a custom form, not one of the wordpress forms but a form we wrote ourselves. It seems like the instructions here https://www.phpcaptcha.org/documentation/quickstart-guide/ has nothing to do with the wordpress plugin files. Hi, yes it is possible to use the WordPress plugin for that. 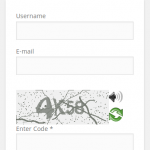 See this Github gist for using the shortcode and custom PHP to validate the captcha. Let me know if you have questions. 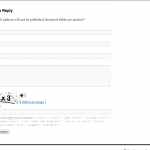 How to set up that error messages show on sampe page of comment ? 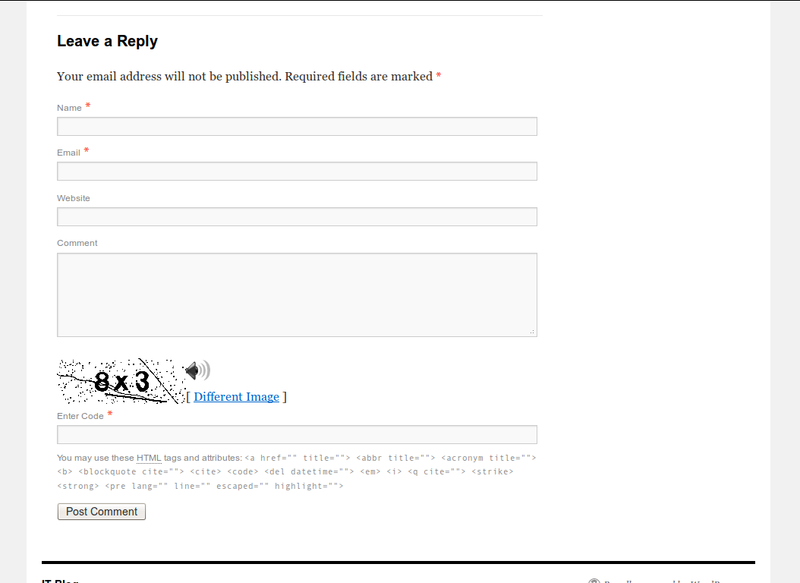 now after wrong code input on field wordpress take to another default page!! I want to show messages on same page! 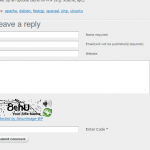 This is the default behavior of commenting in WordPress. 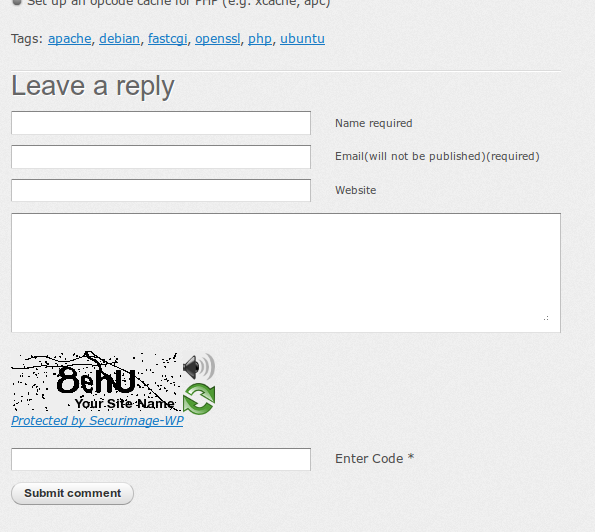 Look for some Ajax comment plugins which should be able to achieve this. If the plugins are written properly, Securimage should work just fine with them as is.